The taste of mindfulness: savour the food to empower your spiritual self. Let food nourish you on a deeper level. This practice helps you understand yourself through your personal food choices and may aid in alleviating cravings as you embrace yourself Incorporating sound meditation practice to further empower your experience. 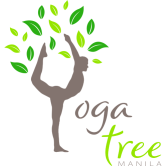 Copyright © 2017 Yoga Tree Manila. All rights reserved.